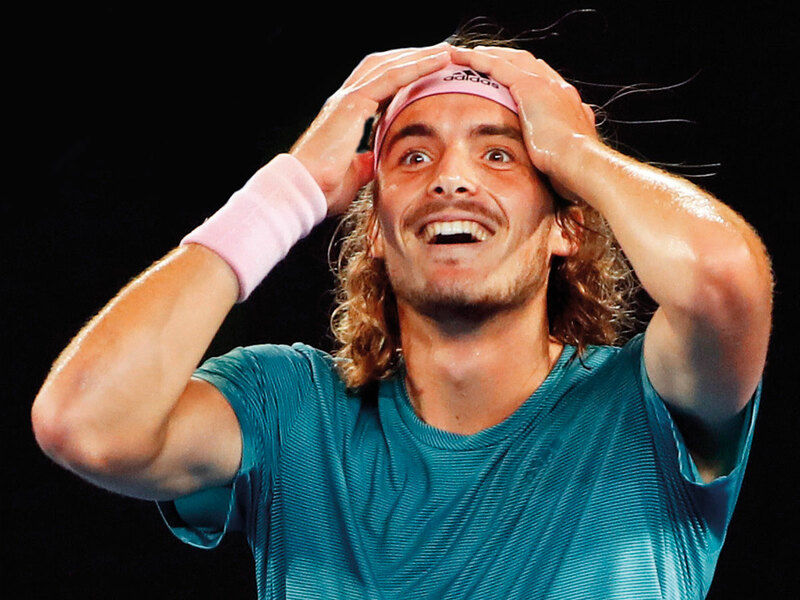 Melbourne: Fiery Greek tyro Stefanos Tsitsipas said it was a “dream come true” after knocking defending champion Roger Federer out of the Australian Open in the fourth round on Sunday. The NextGen Finals winner stunned the world No. 3, who is 17 years his senior, 6-7 (11-13), 7-6 (7/3), 7-5, 7-6 (7/5) on Rod Laver Arena. “I also didn’t break him at the Hopman Cup, so clearly something is wrong how I return him, what I’m trying to do. Federer, meanwhile, announced he will play the French Open this year for the first time since 2015. “It’s a bit of a desire. I’m in a phase where I want to have fun and I’ve missed not doing it,” he told reporters of the French Open. In the other big upset of the day, world No. 2 Angelique Kerber was beaten 6-0 6-2 by American Danielle Collins, who made her main-draw debut at Melbourne Park this year. Men’s second seed Rafa Nadal continued his steady progress by defeating Czech Tomas Berdych 6-0 6-1 7-6(4). The Spaniard will next meet world No. 39 Frances Tiafoe, who celebrated his 21st birthday by overcoming Bulgarian Grigor Dimitrov 7-5 7-6(6) 6-7(1) 7-5. Australian No. 1 Ashleigh Barty displayed her title credentials as she powered past former world No. 1 Maria Sharapova 4-6 6-1 6-4.